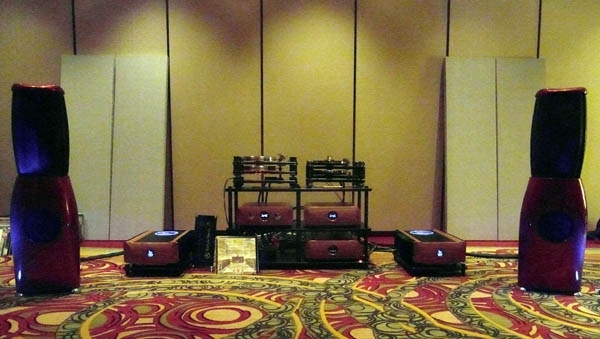 An event at SSI 2015 that, to the best of my knowledge, was unique for an audio show, involved the setup of an "on location" recording studio, and the making of actual recordings. 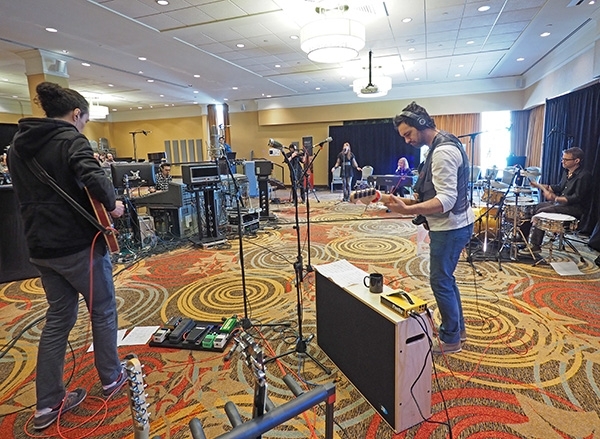 No, not a "Garage Band" App, not a "home recording studio," but a real professional studio, involving some $300k's worth of equipment, and the services of professional recording engineers. The project, called La VibZ Studio, was initiated by Stephan Rich, musician and sound technician, and brought together for the SSI 2015 event vocalist/pianist Anne Bisson, the Give Band (featuring vocalist Caroline St-Louis and Stephan Ritch on the guitar), and Hans Wilwright. 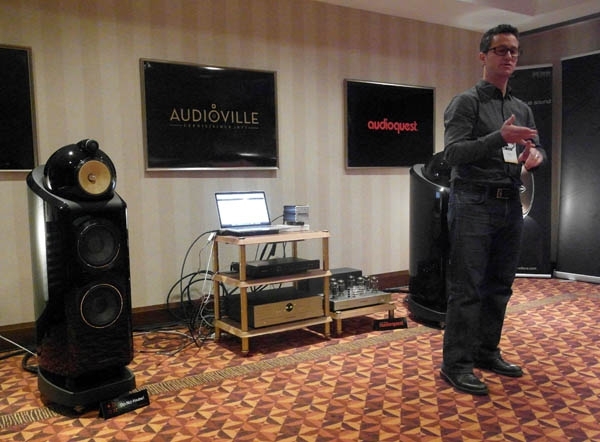 The attendees were provided with Sennheiser cordless headphones for listening to the playback. A transitional show, thenor one with potential to be so. 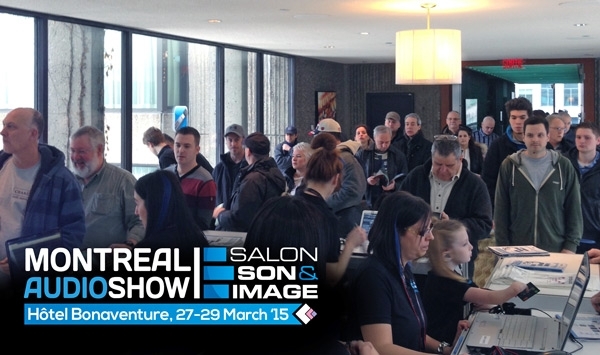 I dearly hope that, with a bit of freshening-up and a few new ideas, Salon Son et Image will be back next year, bigger and better than ever. 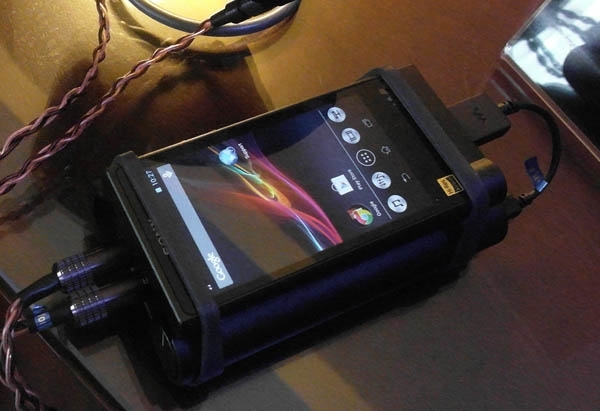 As mentioned in my earlier report, Sony came to town with more than just a system's worth of ES-series components. As I discovered on Saturday morning, they also brought the new NW-ZX2 ($CAD1199), which is the new big brotherforgive the fraternal illogic of the metaphorto last year's well-received ZX1. 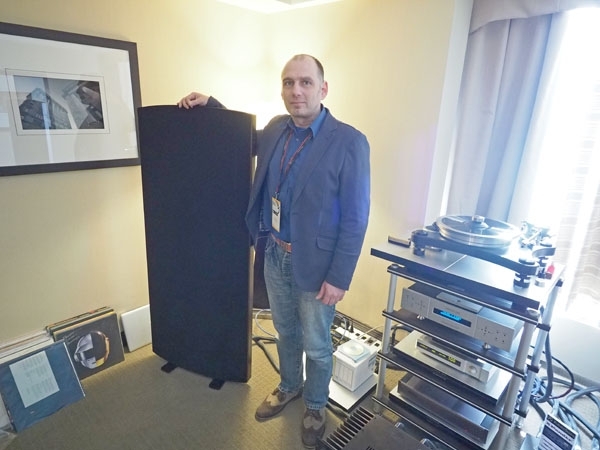 The new Sony, which will be reviewed by Michael Lavorgna in the May issue of Stereophile, offers the same Dynamic Sound Enhancing System as the company's HAP-Z1ES file player, and its amplifier is more powerful than that of the ZX1; perhaps best of all, the ZX2 provides 128GB of built-in storage. . . 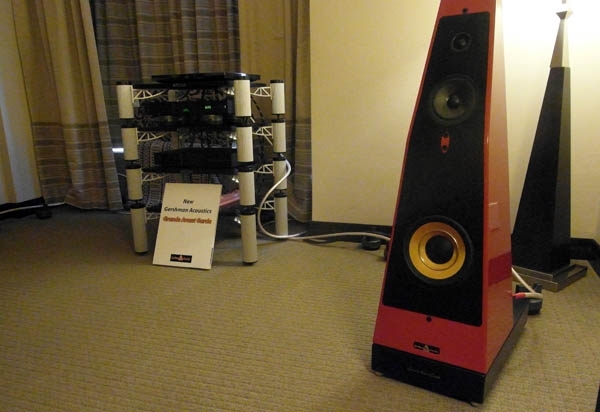 The first room I visited at SSI 2015 was the one devoted to the Soltanus Acoustics ESL Virtuoso loudspeaker (CAD$10,995/pair). Why did I choose this room? First, their room was right next door to mine, so it was a matter of convenience. 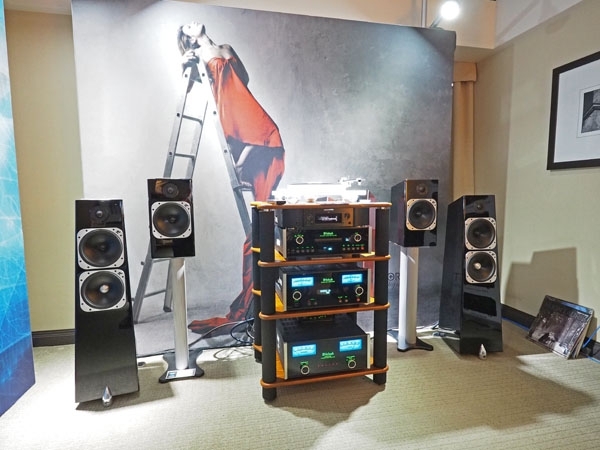 And when I saw the sign that said that they were showing a full-range electrostatic loudspeakerwell, given my history with the original Quad and KLH Nine, I was most intrigued. 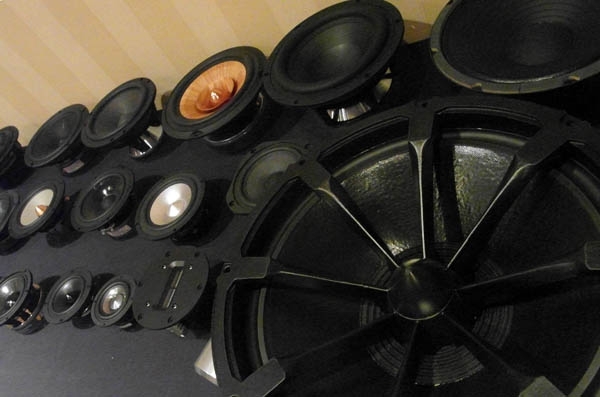 When it comes to designing and building loudspeakers, I confess immunity to the DIY bug, mostly because I wasn't drawn to woodworking until age 50. (At age 10, my Pinewood Derby car was a simple wedge, requiring only a single saw-cut on a rectangular block of woodalthough I felt vindicated when the Triumph TR7 came along.) 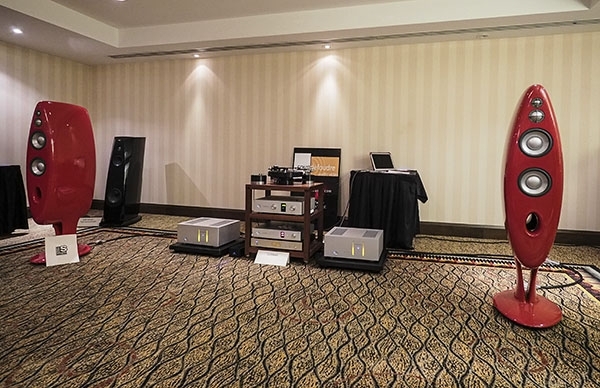 Had things turned out otherwise, I would be spending all of my time in the room of Solen Acoustics: Salon Son et Image stalwarts who make available nearly every sort of drive-unit known to humankind . . . 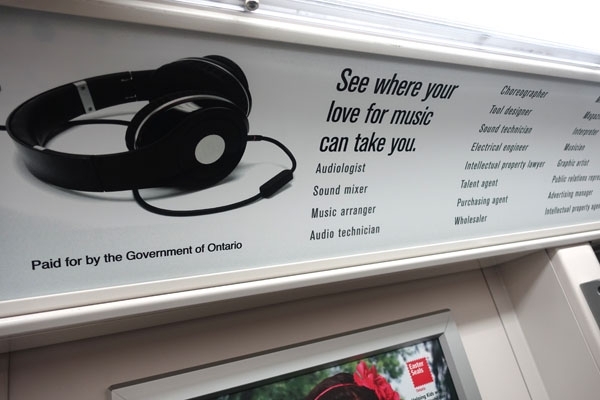 So there I was, taking the subway in Toronto to Union Station, where I would be taking the train to Montreal, and this coming weekend’s Salon Son & Image (SSI), when I spotted this sign, advertising the availability of grants for education related to the love of music. Is that fitting, or what? The list of occupations related to music was extensive, and included, in addition to some obvious ones like audio technician, sound mixer, and electrical engineer, some that I would not have thought of, like intellectual property lawyer and accountant. But I was happy to see “magazine editor” on the list. 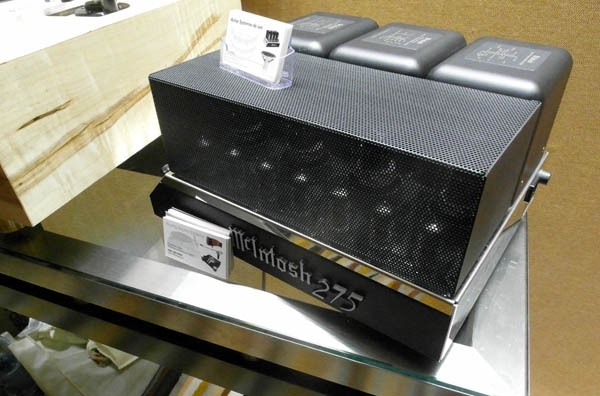 My very first official encounter at this year's Salon Son et Image was with a vintage-gear dealer: Cristian Fatu's static display included this beautiful McIntosh 275 power amplifier above (approximate value: $CAD3200) . . .